In the world of Enterprise IT, sales cycles for IT products and services tend to be long and complex. Decisions are made by committee (vs. by an individual) and the process follows an extended cycle that begins with problem definition, progresses to vendor selection and arrives at a final destination of price negotiation and purchase. Once the problem has been defined, the committee identifies the set of vendors who provide applicable solutions. So this is Product Comparison Guide 1.0. 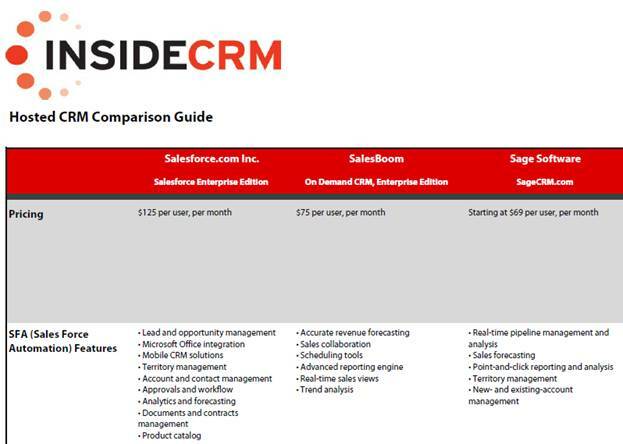 For version 1.5, you might host this guide on a web site (rather than a PDF) and allow readers to click over to the vendor’s web site — perhaps the vendor’s product page for their Hosted CRM offering. Maybe you host a registration page and drive sales leads to the Hosted CRM providers. Now, let’s take it to the next step. Product Comparison Guide 2.0 is an interactive community site that’s powered by a virtual event platform. Let’s imagine the same Hosted CRM guide – published as an SEO-friendly HTML page. Perhaps you leave the high level product information on this page – just enough to entice the reader to continue. The purpose of this page, then, is to drive traffic into your interactive comparison guide. Once a user enters the interactive site, you collect some basic demographic information – enough to uniquely identify the user (and contact her), but not too much that the user abandons and leaves your site (e.g. first name, last name, title, email address). And now, the full product details behind each solution is provided not by you – but, by the vendors themselves – in their product showcase virtual booth! Especially in this economic environment, decisions on IT purchases are not taken lightly, even if the offering is a SaaS solution like Hosted CRM. And what better way to connect with qualified sales prospects than engaging with them while they’re reviewing the solution space? Having a user enter your staffed booth (to engage with you) is a much stronger proposition than sending them to your corporate web site to peruse your content. So vendors “win” in this scenario. The publisher also wins! The publisher can sell sponsorships of Product Comparison Guide 2.0, allowing vendors an assortment of features in the environment (e.g. vendor booth, advertising placements, speaking opportunities, etc.). I’m sure that most vendors listed in your Product Comparison Guide 1.0 (that SEO-friendly web page) will feel pressured to have a virtual booth in the interactive environment – after all, what happens when users click into the environment and interact with your competitors? Your absence results in a lost opportunity. With Product Comparison Guide 2.0, the jobs of buyers and sellers now become much easier. This entry was posted on Friday, February 20th, 2009 at 6:17 AM and is filed under Uncategorized. You can follow any responses to this entry through the RSS 2.0 feed. You can leave a response, or trackback from your own site.